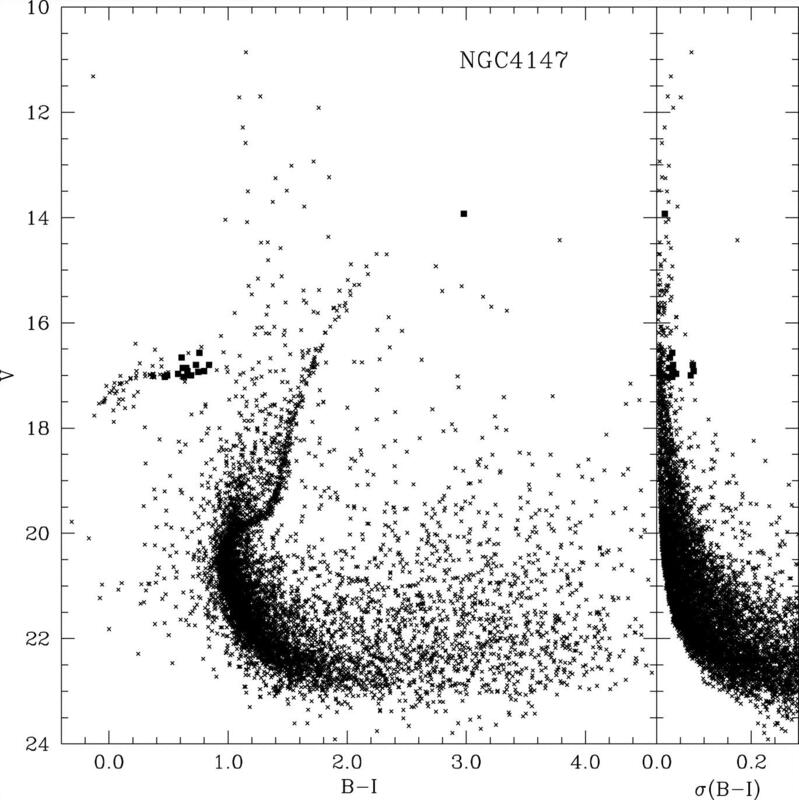 author Wang, J. J.; Chen, L.; Wu, Z. Y.; Gupta, A. C.; Geffert, M.
Globular cluster NGC 4147 was discovered by William Herschel on March 14, 1784 and cataloged as H I.19. This cluster is perhaps a former member of the Sagittarius Dwarf Elliptical Galaxy (SagDEG), or Sagittarius Dwarf Spheroidal Galaxy (Sgr dSph), the nearby dwarf galaxy discovered in 1994, which is currently in a close and perhaps final encounter before its tidal disruption, with our Milky Way Galaxy. Stetson, Peter B.; Catelan, M.; Smith, Horace A.
Wang, J. J.; Chen, L.; Wu, Z. Y.; Gupta, A. C.; Geffert, M.